Marketing is an important process to promote or improve a business. Generally, the owners who have small business have limited budgets to advertise their business. Traditional advertising systems are very expensive and also it is hard to measure. A small business owner doesn’t have that much ability to market his business. But, without marketing you can’t improve in your business. So, it is really necessary to do it. 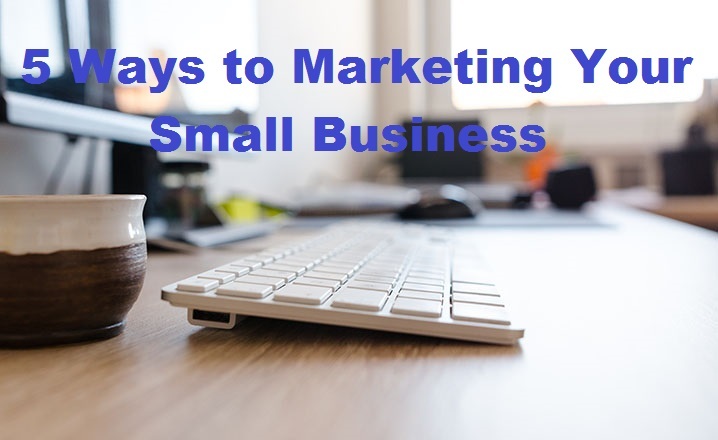 If you have a small business and don’t have that much ability for traditional advertising or marketing then try to follow some easy ways to market your business. These ways will help you to make a huge improvement on your business. Here, those ways are…..
Know About Your Competitors: Before starting a small business, look after what your competitors do. If you want to improve on your business then it is so important to know about your competitors. Try to know what they are doing to improve their business. It will help you a lot because sometime their tactics will work on you. If you see that your competitors post some ads on facebook to attract the customers then you also need to do it. Regular posting ads on facebook from your competitors result that it might work on them. So, you also need to do it. Because you never when this process will work on you. SO, keep trying to do what your competitors previously did. Update Your Social Media: Usually, many of the business try to improve their business from this social media. It is so important for a small business and plays a vital role on it. If you have accounts on some social media is not much enough. Because there are some new tips are coming out for marketing a small business on social media. This can improve your business easily. You always need to update your account information. If something changes on your business then also change the information on your account. Try to sure that your all information, logo and pictures etc are all updated. Also try to post new content on your account or any other social media pages. It will help you to attract the customers easily. Make Some Relationships: Making relationship with customers is an easy way to market your business. By making relationship with customers will help you to get some other peoples. Keep touching on them through email marketing. Make communication with them through it. Give them the latest information or product details of your business so that they can attract. This process is a helpful and also professional way to improve your business. Get Your Own Testimonials: Usually, customers buy something before look at its reviews. They want that they spend their money in a quality thing. That’s you need to attract them from the reviews. This reviews you can get from your old customers who have already brought it. You can put those reviews on so many places. It will help the customers to see. You can put it on your website too. This will give you a perfect testimonial page. Make sure that your customers give reviews on the products that they purchase. So, also try to keep in mind this important thing. Try to Become an Expert One: In your small business you can make yourself as a local expert one. Find out some local interest groups which are matching with your business brand and Show them your expertise. You can aslo speak on local events or any meetings to show yourself as an expert one. Talk with some journalists or reporters to write something about your business. It will help you to get attached with them also make a huge improvement on your business. Conclusion: There are many kinds of small business will be found like construction business, mechanic business, photography business, accounting business or booster club business etc. These 5 ways will help you a lot for a small business. If you follow these tips properly then your business will raise into the top of the mind. So, try to follow these all 5 ways perfectly so that you can get the success on your small business. I am Michael Keating, I am a writer and I like to write. I love to write different blogs with variety of article, content, creative writing and story writing. It is passion that I will write for someone special.